April showers do bring May flowers...but they also bring MUD! 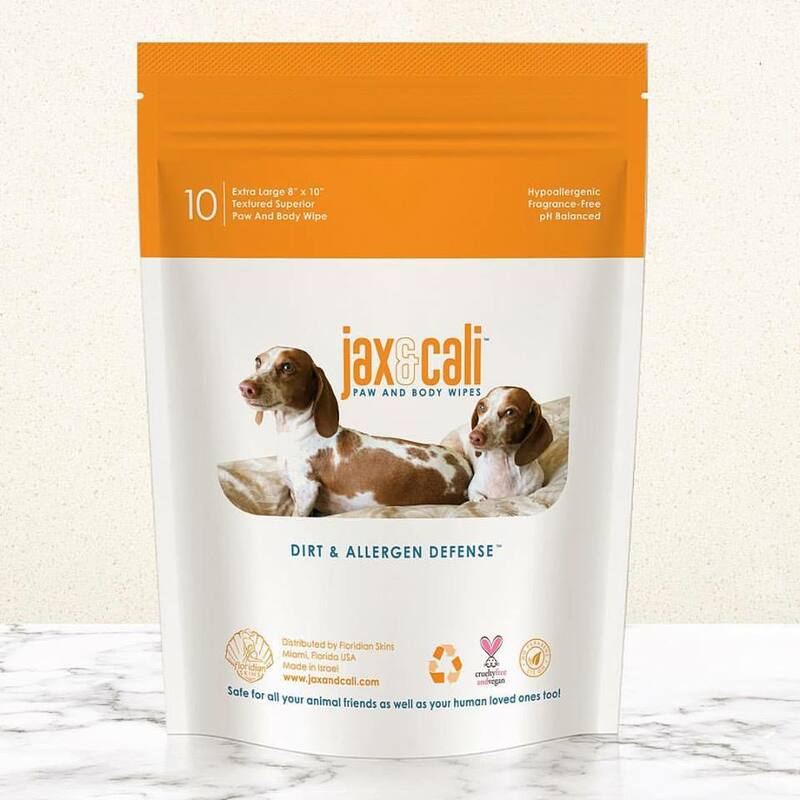 We now have Jax and Cali Paw and Body Wipes in stock. Great for keeping in the car, on walks, on visits, around the house, and so much more! Keep those paws clean and your floors, furniture, car, and lap clean, too! "Our wipes not only have a unique formula, they are natural, nourish, hydrate, are hypoallergenic, pH balanced, free from harsh chemicals, PETA Certified Cruelty Free and Vegan AND THEY CLEAN!" We are quite excited about adding another USA-sourced and made, small-batch brand of treats to our shelves! 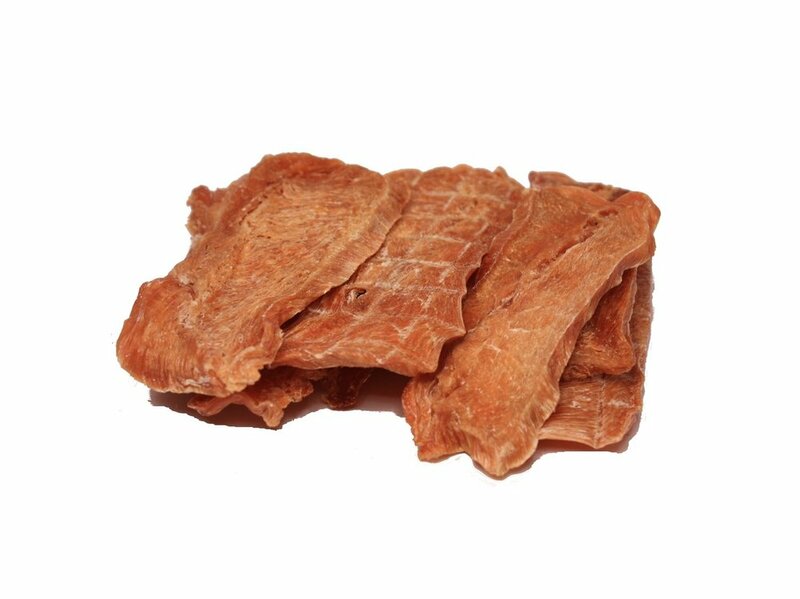 Barky Bites Chicken Jerky. 100% Chicken Breast Meat, Himalayan Salt, Lemon Juice Wash. Hand-sliced, small batch. Made in the USA! Barky Bites Dog Treats is all about the freshest and best ingredients to be used in our dogs' treats. We are a small batch bakery/jerk smokehouse in Chicago, IL and our main mission is to make the best and healthiest treats for our pets. All of our jerkies are human-grade (pet safe) using only mild pet-friendly seasonings. We hand-select all of our ingredients which are never purchased in bulk or by the skid. We hand slice every piece--no piece of our jerky is alike. Chef, Restaurateur, and KCBS BBQ Professional Judge and Winner Chris Vecchio is jumping into an all-new adventure at age 50 and started Barky Bites Dog Treats in 2017, inspired by his new puppy IZZY and the massive amounts of recalls (and deaths) in the pet industry. "When Izzy came into my life, she had severe allergies. I then found out how dangerously poor the quality of pet treats and food are in the market, and knew I had to do something..."
So Chris launched BARKY BITES DOG TREATS using only the best ingredients and his award-winning techniques to make the best pet cookies and jerky you can buy for your furbaby. Last week for this deal! Morty is a 2 year old Pit Bull Terrier. HAWS is recommending households with children 10 and older. He would do best being the only pet and hogging all the attention in the home. He is very athletic and will lean into petting. Benji is a 1 year old Terrier. He can be very mouthy so he is restricted to houses with teens and older. He did not enjoy cats and dogs being present. He did great with people and loves to play with soft toys. He will need a house that can provide a lot of physical and mental challenges.